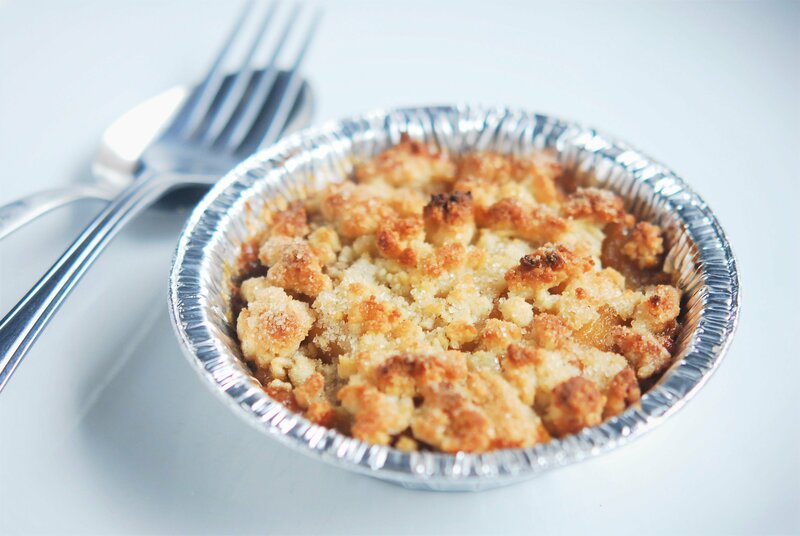 Fresh apples baked with salty, buttery caramel and topped with a sweet crumble. Oven: Preheat oven to 350°F. Remove lid and label. Leave uncovered and heat for 5-10 minutes or until heated thoroughly.